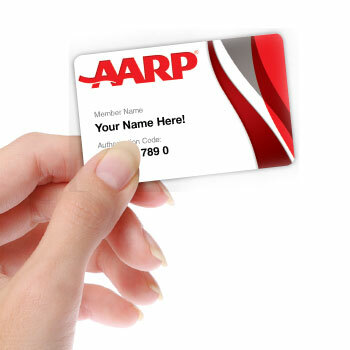 The AARP is one of the largest public advocacy groups in the nation and generally exists for the benefit of the large retirement-age community in the United States. While it primarily does political advocacy for the elderly, the AARP offers its membership many other substantial benefits, including life insurance. The association doesn’t underwrite life insurance, but it does partner with the New York Life Insurance Co. to give its members easy access to a variety of affordable permanent life insurance and term life insurance coverage and annuities. Access to life insurance without a medical exam is something most U.S. seniors can find easier with the help of AARP. The New York Life Insurance Co. is one of the oldest life insurance companies in the United States and has a very high financial strength rating from AM Best. The insurer provides several types of permanent life insurance and term life insurance policies and offers annuities. Its high financial strength rating indicates New York Life has the funds necessary to ensure it can pay legitimate claims on time. And a high rating with AM Best carries considerable weight: AM Best is considered the top third-party ratings service for the insurance industry and provides assessments on all insurance companies and other entities. Permanent life insurance also is known as whole life insurance and stays in effect until the insured person either dies or reaches age 100. It’s the most common type of life insurance sold in the United States and is available in several varieties. With whole life insurance, premiums are paid over a number of years as the account grows a cash value, which eventually becomes the benefit amount. The policyholder pays for the eventual benefit amount by making regular premium payments over several years. Once the cash value equals the benefit amount, a whole life insurance policy matures, and no more premiums are needed. A benefit is paid to the beneficiary once the named insured party dies or reaches age 100. New York Life also offers several types of term life insurance, which is in effect for a specific number of years. New York Life term life plans can be bought for periods of five years to 30 years. Rates for the elderly tend to be higher than for those who are younger when buying term life insurance, but the policies can be more affordable than whole life insurance plans, especially for younger members of the AARP. Although the association advocates on behalf of the elderly, those who are younger can join and take advantage of its benefits, including buying term life insurance underwritten by New York Life Insurance. The policies are in effect for a specific number of years and then expire if the insured person is still alive, which happens more than 95 percent of the time. Most often, term life insurance policies are used to protect short-term financial obligations, like a home mortgage. Whether buying permanent life insurance or whole life insurance through the AARP’s partnership with the New York Life Insurance Co., AARP members in most cases will not have to submit to a medical exam to buy their life insurance policies. With most insurers, a medical exam is necessary when buying whole life insurance policies, and especially when the insured party is of retirement age. But with the AARP, members buying whole life insurance plans through New York Life usually will not be subjected to invasive medical exams. Instead, the life insurer will use standard health information provided by the member to determine life insurance rates. Term life insurance almost never requires a medical exam regardless of AARP affiliation, but some insurers will demand one if trying to convert a term life policy into a whole life insurance plan. With both whole life and term life insurance available at a lower cost from one of the most respected insurance companies, the AARP makes life insurance more accessible to more seniors. Natalie, I disagree with your statement about “Easy access to life insurance without a medical exam is something most U.S. seniors can’t find outside of the AARP.” I know of other no exam senior life insurance plans from Mutual of Omaha, Met Life and Colonial penn, among others. I think seniors may want to compare plans and pricing before choosing a plan from AARP, because it may not always offer the best coverage at the lowest price. It depends on the person and your own personal risk factors. Hi LY, Thank you for catching that! That isn’t my meaning behind that and I have updated the post to better reflect what I was trying to say.